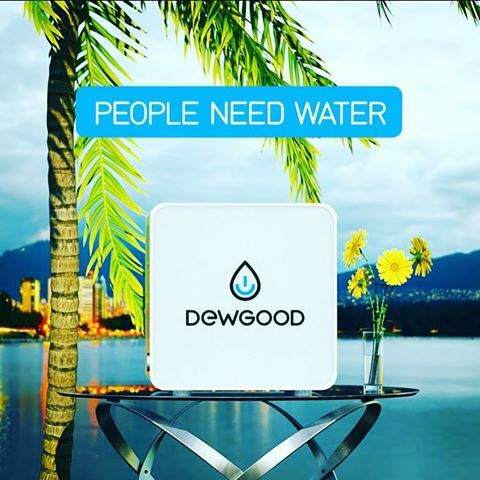 HomeEnvironmentGadgetsGreen ProductsLifestyleSolar energyWater Generation DewGood Brings The World’s First Bluetooth-Controlled Water from Air Generator! 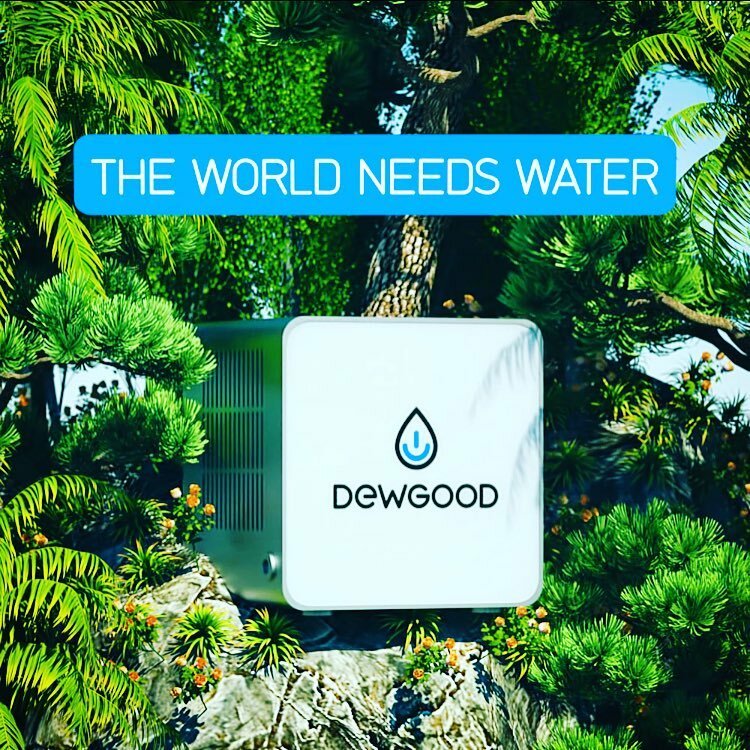 DewGood Brings The World’s First Bluetooth-Controlled Water from Air Generator! Only 0.5% of the world's water resources are available to provide for the freshwater needs of our planet's ecosystem and population. Water is essential to life, but many are only just now beginning to realize how essential it is to everything in life – food, health, energy, transportation, nature, leisure, and all the products used on a daily basis. In fact, billions of people have gained access to clean and safe drinking water since 1990, but data show that huge inequalities remain across the world. A 2013 UN water analytical brief, Water Security and the Global Water Agenda’ says water is in itself a security risk could act as a preventative measure for regional conflicts and tensions. The corporate world and researchers are now more inclined towards the innovative technologies for water generation, preservation, and filtration. 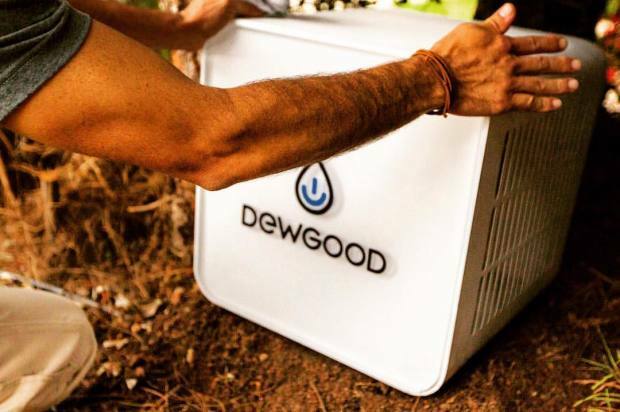 Los Angeles-based Reuben Vollmer, the founder of green product company ‘DewGood’, which focuses on making localized sources of fresh water from an air for farming and drinking purposes. To grasp the in-depth knowledge, he studied about condensation, thermo-dynamics, farming, geometry, the history of water generators, markets and much more. He built with Pavel Tikhonenko, a machine called ‘DG-10’ that generates 10 gallons of water from the air in every 24 hours. It weighs 55 lbs and sized at 20” cube, it can operate in the humidity range of 35-100%. When water vapor in the air comes into contact with something cold its molecules slow down and get closer together. When that happens, the water vapor turns into liquid water droplets. That’s what DG-10 does.... It condenses water out of the air by cooling metal ﬁns to below dew point. The DG-10 has an internal reservoir which measures the amount of water made, the time it was made, the temperature and humidity, and records this information to a memory card for the life of the machine. It consumes about 500-800 watts energy, basically the equivalent of a desktop computer and can run off Solar with Inverter. It controls humidity level, sets water production, record and analyze atmosphere via Bluetooth with their easy to use app. A replaceable 6-stage internal filtration system using a sediment, granular activated carbon, CTO, RO Membrane, Post Carbon, and UV light to purify the water far beyond even the harshest standards. The crowd funding campaign of this green product DG-10 is currently live at Indiegogo to meet expenses for producing the first 40 machines.